Last weekend I was inspired to play with my make up and you know me, I like to pile on the eyeshadow, especially at the weekend! I figure, I play it safe during the week with my neutrals and I love to push the limits outside of work and see just how close I can get to the drag queen look without going over the top! I started the look with this mascara already on, not something I'd usually do, but I was a lean mean blogging machine over the weekend! I started off by applying a layer of Maybelline Color Tattoo 24hr eye shadow in Immortal Charcoal as a base, applying it on the eyelid and just above the crease, taking a bit of it under the lower lashes. 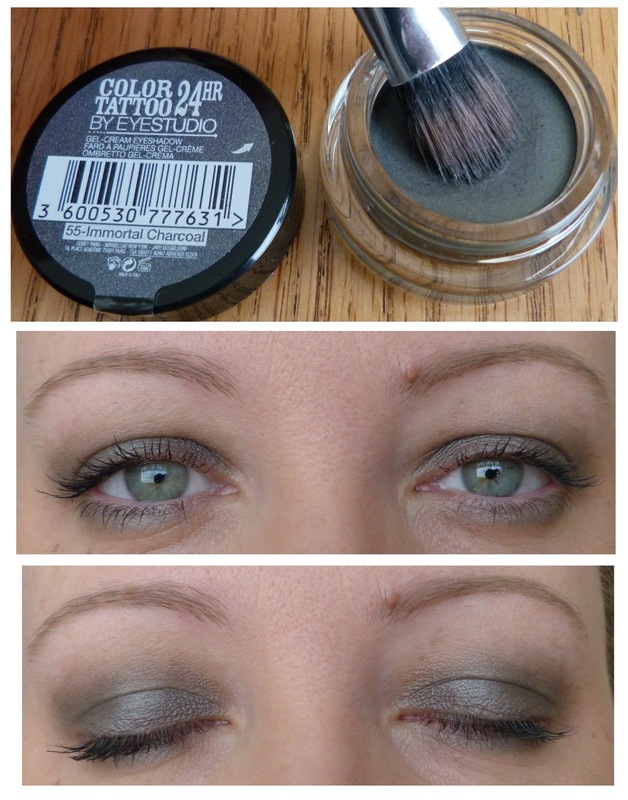 From my Inglot palette, I picked shade #37 and applied it all over Immortal Charcoal using a flat eyeshadow brush. Look how pigmented the colour is over the Immortal Charcoal on the left. I wanted mad colour, nothing subtle here! 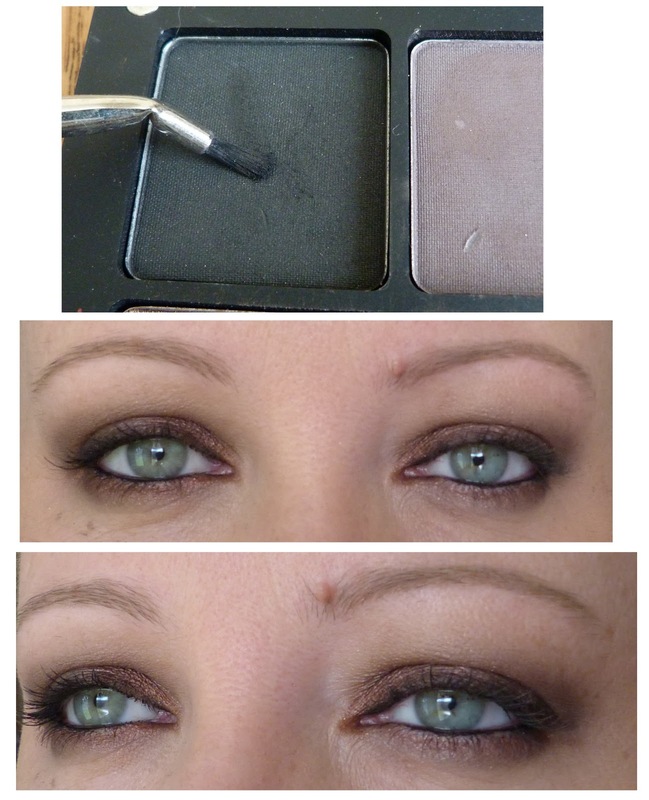 Next I took my Avon SuperShock gel liner in black and applied it on the waterline and tightlined my upper lash line too. This step alone really pulled the look together. Going so dark with the eyeshadow, you need to bring it all together and I love me this eyeliner something fierce. You know me, I had to keep piling the eyeshadow on and went back to my Inglot palette with an angled brush from Benefit and chose the matte black shade #63. I applied it lightly along the upper lash line to define my eyes even more and that was it! 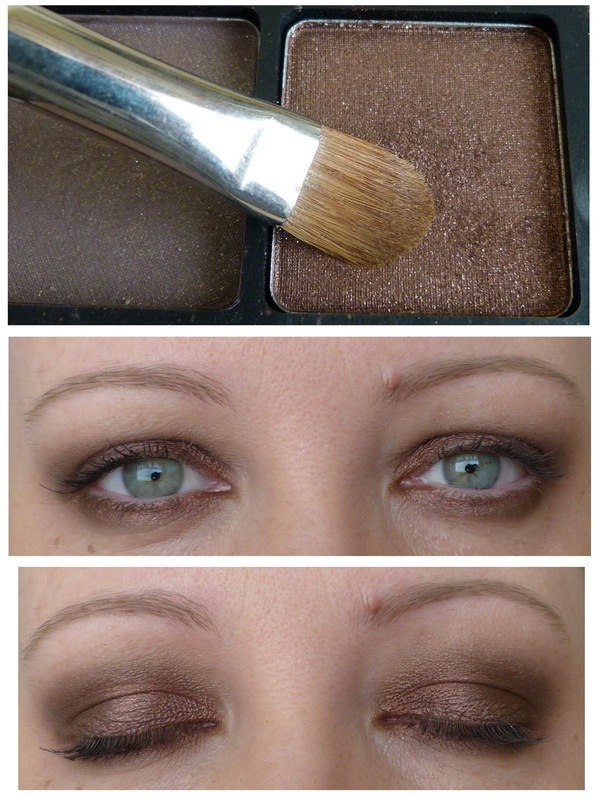 Here you have a dramatic eye make up look using only five products. This is easy peasy and if I can do it, then so can you. I love playing like a child in my make up stash! I loved this post! Your photos are so clear. This is a look I would wear most days. Thanks Sarah, I'd never get away with this at work, neutral all the way! Wow,great post karen! Would never have thought of using such a dark base with the Brown eyeshadow,looks great.ill be attempting to recreate this myself..thanks! Gowjus!! That brown is supah flattering on. Love, love, LOVE!